In my first few months at Yahoo, I had the opportunity to work on the visual design for the first mobile app for Yahoo Small Business, called Live Web Insights. The app enables merchants to see what's happening on their ecommerce websites in real time and chat with users to help answer questions and close sales. The goal of the app was to give merchants a snapshot of their online store that they could take with them on the go. I worked on the dashboard visual design for the new Yahoo Stores, the first redesign of the product since 1998. The purpose was not only to freshen up the look and feel of the product but to also provide customers with a single place to manage their purchases with YSB and run their business. The launch was featured on CNBC, Wall Street Journal, Entrepreneur Magazine, Silicon Valley Business Journal, and other tech media outlets. 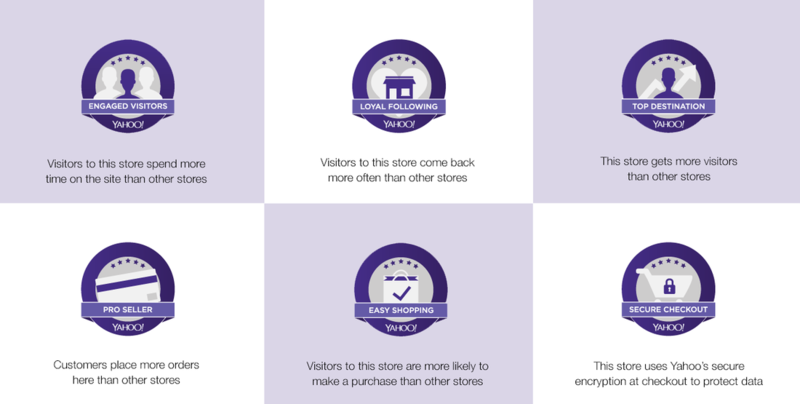 I worked on a store reliability program for Yahoo Commerce Central (part of Yahoo Small Business) called Yahoo Live Store Badge. The purpose of the program was to promote reliability and popularity to consumers who are browsing Yahoo Stores. The initial state is a small badge on the bottom right corner of the page. Upon hover, it expands to feature the awards the store has won with Yahoo Commerce Central as well as their top 3 selling products. This project was featured in PracticalEcommerce on May 30, 2014. YSB's content platform, Small Business Advisor, gets tens of thousands of views a day but suffered from content overload. This redesign focused on providing relevant content with a clean and simple look and feel as well as a better categorization system to help viewers find what they're looking for on the site. This is also the first-ever iteration of responsive design for Advisor. Using A/B testing results, I created an order flow for people to search and purchase our web domains. 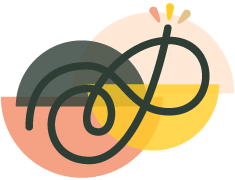 We found that many people purchased domains in bundles based on the domain names they wanted to secure, so we added a way for people to browse other available domain types while they checked out. 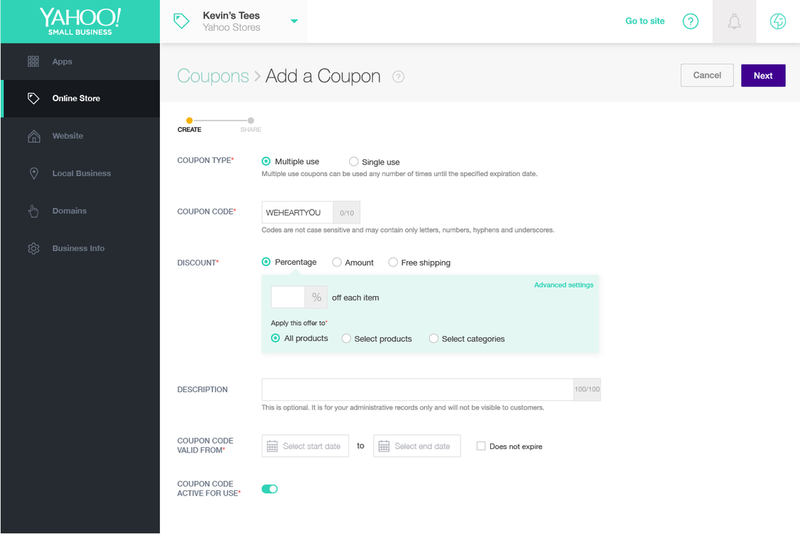 The goal was to create a very straightforward flow to help people find exactly what they needed and guide them through the checkout process smoothly with no frills or unhelpful up-sells.